If you are wondering how to get over a breakup, you are not alone. 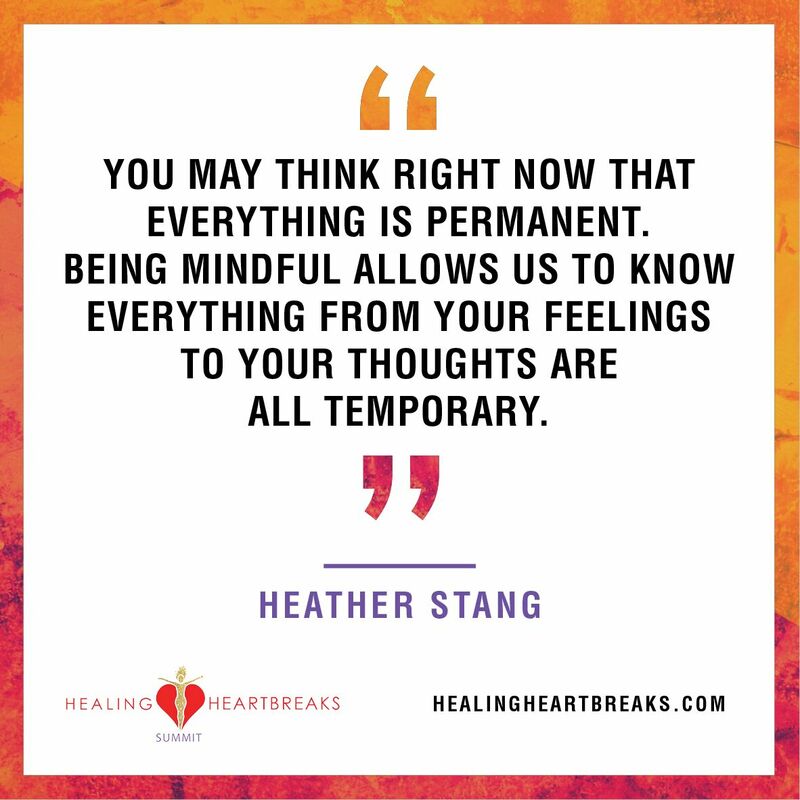 Healing heartbreak is an inevitable part of life, but when things fall apart, the pain that follows can feel like a permanent state of being rather than a passing season of life. We tend to feed our negative feelings after a breakup, spending hours on end replaying the breakup scene and rewriting the script. We vacillate between blaming ourselves and crucifying our ex. We avoid our pain by over eating, binge drinking, or maybe diving into a mindless tryst to temporarily soothe our pain. If you feel like someone needs to save you from yourself, you are right. And that someone is you. Counting Meditation: Mentally count down each exhale starting with the number ten. When you reach the number one, count up to ten again. When you forget your number, or get distracted, just start over. Personal Mantra Meditation: Focus your attention on just your exhales. Each time you breath out, in your mind silently say a soothing word or phrase to yourself. “Peace,” “I Am Healed,” “Let go, let God,” or anything else that feels right to you. Each time you daydream or your mind wanders, just begin again. Focus Meditation: Use the play button below to try the Focus Meditation for yourself. Click the down arrow button to save the guided meditation. Emotions combine two distinct sensory experiences: thought and physical sensation. Paired together they create an overwhelming cocktail of feeling. But when you shift your attention just to the physical sensation, and let go of the story, powerful transformations can occur. Just like depriving oxygen from a fire, removing the mental story from your emotions will turn down the heat. As you meditate on your physical body, you will remove the suffering and begin to connect intimately with the actual pain of the situation. This takes courage, but as meditation teacher Shinzin Young illustrates: Suffering = Resistance x Pain. Remove the resistance, remove the suffering. You will remove the add-ons – the self-deprecation, blame, and shame that make you feel bad about feeling bad. The paradox here is that by looking directly at your own truth, your own real sensory experience of loss, your pain will feel more manageable. Coping With Grief & Difficult Emotions: Use this guided meditation to separate out your thoughts and cognition from your physical experience to manage the emotional pain after a breakup. There are just as many ways to get over a broken heart as there are ways to stay stuck in your pain. Meditation can help you get over breakup, and even help you improve your overall well-being and personal strength. 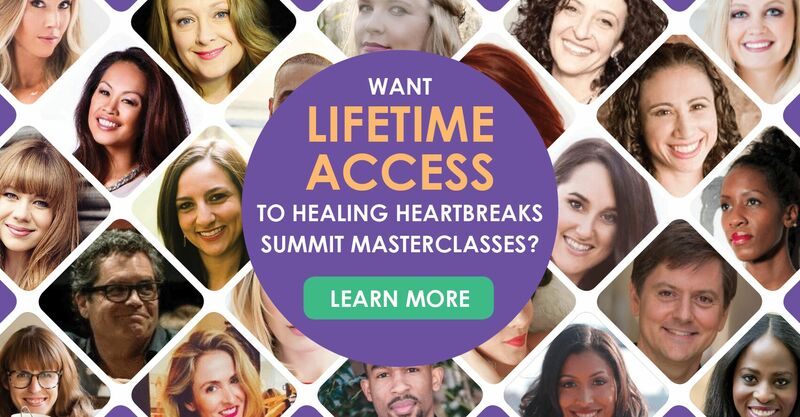 To learn more healing techniques, check out the Healing Heartbreaks Summit.